The Xiaomi don’t want to loose any slot in the Indian market under budget Range, Redmi 3s is full specs loaded phone, here we have summarized the review with Advantages and Disadvantages of Xiaomi Redmi 3s, after the huge success of Redmi 2 and Redmi Note 3 now they have launched Redmi 3S. The phone has a metallic body and featuring 1.4 GHz Snapdragon 430 Processor, 5.0 inches HD display, 13MP | 5MP camera, 16 GB ROM | 128 GB SD card Support | 2 GB RAM and 4100 mAh battery. When it comes to outer full metallic design that is highly inspired from the Redmi Note 3 even it looks like a smaller version of Note 3. It is important to note that both variants of Redmi 3S have different price and features, Redmi 3S prime (₹ 8999) has 3 GB RAM, 32 GB ROM and fingerprint sensor while Redmi 3S (₹ 6999) has 2 GB RAM, 16 GB ROM and No fingerprint sensor. The right edge of phone contains Power button and volume rockers key while left has SIM card and Hybrid memory card slot top houses a 3.5mm audio jack alongside an IR blaster and a Micro USB port placed at the bottom. The Xiaomi always made a vibrant display for the smartphone; Redmi 3S offering 5.0 inches IPS LCD with 720 x 1280 resolutions and 294ppi of display density, this is not sufficient for obtaining a Crystal clear visual experience but if we consider this feature according to budget it is pretty enough. Display is not quite stunning, it is just average neither it is AMOLED nor it has any special display protection like Gorilla glass. Phone can capture 13 MP photos from rear and 5 MP from front camera, photos come out pretty detailed and close to natural colors in good lit conditions however in low light, the photos become grainy, which is problem with all the entry level even mid-range smartphone. All the processing of phone is controlled by the entry level Qualcomm’s Snapdragon 430 processor, this Chipset is coupled with 2 GB RAM; able to give a quite smooth performance, definitely the phone is incapable of running Graphic intensive games but day to day tasks are running without hiccups. Battery can be very advantageous component associated with this handset, it has 4100 mAh capacity, which can run the mobile for more than one day, battery is really helpful for heavy users. The Build quality pretty and very comfortable to hold. Support up to 128 GB External SD card. Doesn't have Dedicated slot for SIM 2 (Hybrid slot). Display and camera both are average. No special protection for display. 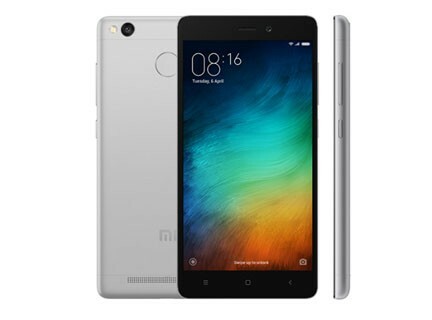 Xiaomi providing great specs and built quality under the budget, This year (2016) Redmi 3S is entry level phone from Xiaomi, but it is nice to see that it offers many features which are not even available in mid range segment smartphone, it has impressive built, long lasting battery, above average camera; all under very affordable price. However, there are alternate or competitors are already in the market like Coolpad Note 3 and Honor Holly 2 Plus.